Black Friday has its detractors but it certainly is an opportunity to grab yourself a great Black Friday guitar deal! Great Black Friday guitar deals for 2015. Well it is that time of year again! The run-up to Christmas does seem to get earlier every year with early influences of the Festive period appearing in shops when the kids go back to school in September. However, you really know that Christmas is just round the corner when more than 50% of TV ad content is to remind us of the impending arrival of the 25th December! One recent tradition, at least to the UK shores, also seems to be following this trend of having an extended run-up. Black Friday, an import from our US cousins, rather than just being the Friday after Thanks-giving is now turning into a week long binge of bargains and deals. Black Friday first hit these shores back in 2003 when the UK retailer Currys hosted a Black Friday style sale in one of its stores in London. Since then retailers such as Amazon, Cotswold Outdoors, Littlewoods and Asda have had their own Black Friday sales which have been extremely popular. However, public order issues in stores have led to widespread condemnation of the event and a number of retailers suggesting that they will no longer be participating in Black Friday sales. Rather interestingly Asda, one of the first retailers to make a big thing of Black Friday, and which experienced some rather violent crowds fighting over TV sets in 2014, have said that they will not be having Black Friday events in their stores in 2015. Putting aside the negative issues associated with Black Friday if you are looking for a guitar bargain then Black Friday can be a good time to go shopping. Many small music shops will not participate in Black Friday but for the big online retailers such as Gear 4 Music, Musicians Friend and Amazon this is not the case. So if you are looking for a Black Friday guitar deal then online is definitely the place to look. Black Friday for Amazon is a massive event . This year Amazon are having ten days of deals in the run up to Black Friday and extending over the weekend culminating in a final Cyber Monday sale. So are there any great Black Friday guitar deals to be had on Amazon? Well yes there are but you have to regularly check their site for the best deals. For example in their up-coming deals they are featuring a Rockburn LP2 guitar pack or a rather tasty Lindo Dragon Electro acoustic guitar. Both these offers start tomorrow so they have not released prices. If you use the link below if will take you to the Amazon Black Friday page where you can keep an eye on their regular daily deals update. It is well worth keeping an eye on the Amazon site as the deals on offer are time limited and so can easily be missed. Gear 4 Music is one of the UKs biggest online music retailers and the first to list on the UK stock Market. If you are looking for a guitar starter pack, budget guitar or top of the range instrument then Gear 4 Music is the site to visit. Once again they are having Black Friday sales and like Amazon they are running a week long Black Friday event with regular updates on products to be featured with a time limited reduction in price. This means that you have to keep an eye on their site but it is well worth it if you are looking for a bargain. If you click the link below you can access directly their deals page where products will be added. The Gear 4 Music Black Friday event starts tomorrow and ends midnight on November 29th. Musicians Friend is an American music retailer but don’t worry they ship to the UK and although it takes a little longer to get your goods they have some amazing prices which makes it well worth persevering. As an American retailer they are well set-up for Black Friday deals and deliver massive price reductions on big name guitar brands such as BC Rich, Kramer and Alvarez. Once again it is worth keeping an eye on their site for time limited deals. 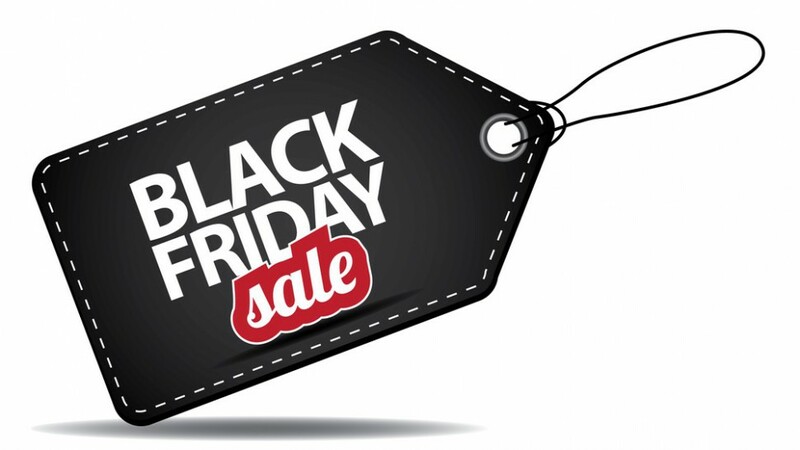 Finally we recently received an email from the guys at Jam Play, providers of online guitar lessons, saying that they were running a Black Friday sale on membership. Jam Play, in my opinion, provides some of the best guitar tuition online at an amazing price. But with the Black Friday sale price this has just got a whole lot cheaper. With over 5000 high definition video lessons covering every guitar style you could dream of Jam Play provides an amazing learning experience. Just consider that a guitar lesson could cost you at the least £15 per hour you get a one month membership with Jam Play for $9.99 (around £6.50 at current exchange rates). This gives you access to 79 guitar teachers covering blues, Rock, Funk, Gospel, Metal and lots, lots more. This for me is the unmissable deal of Black Friday if you are looking to get better on the old six string. To access the Jam Play 50% off Black Friday deal click on the link below and quote the code BF2015. Like it of hate it Black Friday is here to stay, for the time being at least! If you are looking for a great Black Friday guitar deal it is worth keeping an eye on the sites we have mentioned above and you might be able to grab yourself a Christmas bargain. If you want to keep up to date with all the latest guitar news including great bargains on top brand guitars then sign up below for our regular email newsletter. The Best Guitar Repair Guide?